Using coupons, freebies, and other deals to fill in the gaps! There are several options when signing up for this freebie. Your optional feedback helps Procter & Gamble improve their products for you. Would you be willing to provide feedback? Sometimes I do these, sometimes I don't. 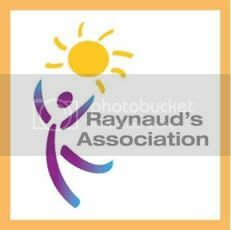 Get $100s in exclusive savings, how-to project info, workshops, great design ideas and popular topics from our community. I SIGNED UP FOR THESE! Your Tide Pods sample will be shipped to you within 4-6 weeks. Thanks for the info, Pays to Save! Heat Holders is interested in hearing opinions from Frosties regarding their thermal socks. They’ll send you a pair of FREE Heat Holders Socks to try if you’ll respond with a testimonial. Contact [email protected] to receive your FREE sample. Thanks for the info, Mama's Spot! Have you tried these great samples and coupons for products from Proctor & Gamble? I've tried several of them and especially love the Downy Unstoppables. Once you Sign in near the top right of the page under the logo, go to the bottom of the page to request your samples and coupons. Let me know if you request yours or have received them in the past. ***Please note that to access P&GbrandSAMPLER, you must be at least 18 years old. The address you enter here will be used as the shipping address for your coupons and samples. When you choose your offers, there will be a limit of one order per registered user. P&GbrandSAMPLER® allows one sample and coupon request per household address per quarter. This offer is open to U.S. residents only. Total: .97 or .49 per stick! Thanks to I Heart the Mart for sharinghis list! I've been using the Ibotta Grocery Cash Back App for less than a month and have earned $8.75 on items that I already used coupons to purchase. My daughter has the app, and I buy duplicate items with a separate receipt, use her account, and have earned another $4.00 on her account. We can link both Ibotta accounts to one PayPal account and then it will go straight back into my account that I used to purchase the groceries. Of course, I'm thinking about letting the money build up and using it for a vacation fund. What an easy way to save without sacrificing any of our increasingly tight budgets! To get the details on how Ibotta works, just click on over to Ugotta Get the Ibotta Shopping and Cashback App. To make things REALLY simple, here it is: buy your item, use a coupon if you have one. Use the app to scan your receipt. Money goes to your paypal. Right now, Ibotta is offering a $5 signup bonus. Just use any of my ibotta links to sign up and you'll receive a $5 bonus when you upload your first receipt! The $5 signup bonus ends this Friday at 12 noon (PST). For anyone who signs up through any of the Ibotta links on my site before the Friday deadline, you will have until Thursday, January 17th at midnight (PST) to upload your first receipt to receive your $5 bonus. Is your favorite store not listed? You can https://ibotta.com/stores" target="_blank">vote to get your favorite store(s) added to the Ibotta list. These are some of the current and past offers from Ibotta. The related printable coupons are included when I could find them. Not all of these may be available for each person. Offers may vary by region or by user, but I included them to give you an idea of the types of offers provided by Ibotta. My local Walmart had a tearpad of coupons hanging on the Digiorno freezer door. The coupon was for Buy 3 Digiorno, Get a 48oz Edy's Ice Cream FREE. I was able to use both coupons and the Ibotta $0.50 cash back rebate. 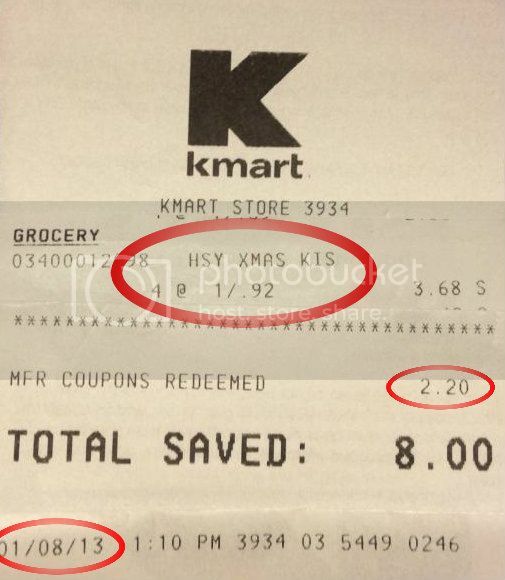 That was a total savings of $8.48! Are you on Facebook? If so, request to be a member of the Deals From Ms Do Facebook Group and you'll never miss anything because you'll receive a notification when I post a new offer to Facebook. My daughter and I visited the Titanic exhibit in the Spring of 2007. The Titanic wreckage was discovered when I was in junior high school and I've been fascinated by it ever since. Although I own several books and a replica of the necklace from the infamous Titanic movie, absolutely NOTHING compares to visiting the exhibit and being able to view actual artifacts that have been recovered from the wreckage. My daughter was only ten when we visited, but easily recalls the displays she viewed that day, especially the items recovered from the ocean floor, she said. I recall how fascinated she was when we learned about how much soap was needed to launch the enormous floating city into the water. My dear daughter thinks it's a good thing that the children of the R.S.S. 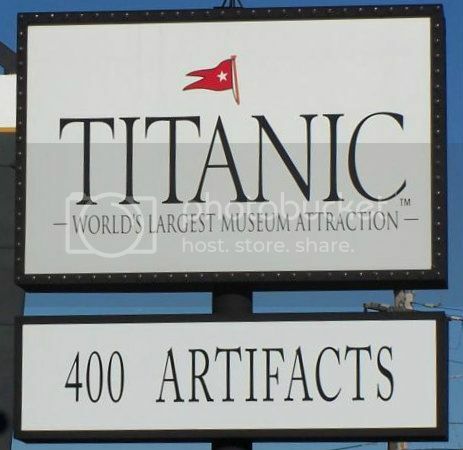 Titanic are now being celebrated adn honored through this new exhibit. Thankfully, we only live about two hours from Branson and hope to see this great new exhibit soon. For more information, please contact us at 800-381-7670. The middle picture below shows the comparison of a child's size to that of the Titanic. If my memory serves me correctly, I believe the boat in Branson is built to about 1/4 of the size of the original majestic boat. My daughter was very tall at age 10, so imagine your child in her place. Just click to enlarge my pictures to get a better view. I went to KMart today and couldn't believe the deal that I found! They've marked their Christmas decorations down to 70% off and their Christmas food items down to 75% off. 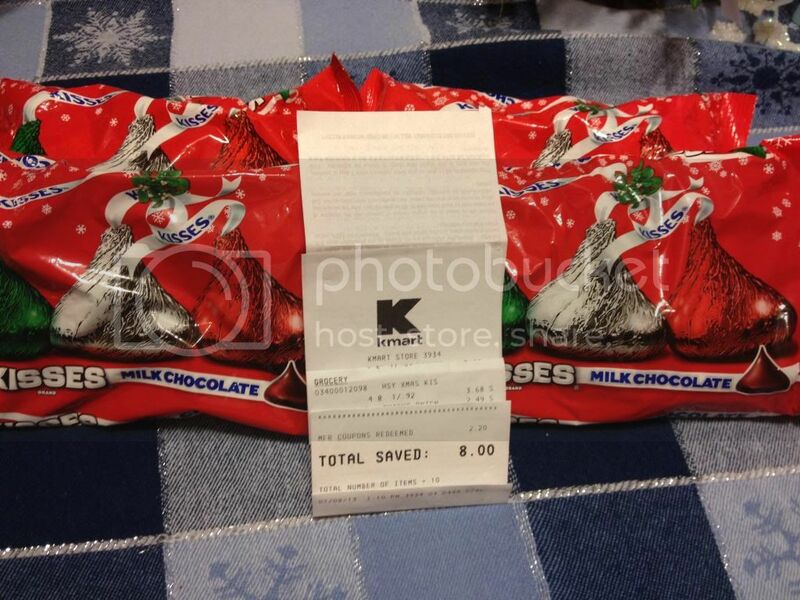 I scored four bags of Hershey's Kisses for $0.37 a bag after the clearance price anc my coupons. There were TONS of the Hershey's kisses left when I was there. They had all kinds of fragrance gift sets available as well as lots of food and candy markdowns available. Is dad a fan of Craftsman? If so, shop now for a treat that may still be good at Father's Day. There were LOTS of Craftsman snack varieties available, just make sure to check for expiration dates if you plan to hold on to them for a while. With Valentine's coming just around the corner, why not stock up on these Kisses at such a fabulous price? If you're using them to make treats with, it won't matter what color the wrappers are. If the kids use them for school treats, dig out the green ones and send in just the silver and red kisses. If you buy Kellogg’s products, make sure you sign up for Kellogg’s Family Rewards! Today (1/4), they are giving triple points. You can use your points for rewards like high value coupons, sweepstakes entries, and other great prizes. This is similar to collecting My Coke Rewards points. Even if you don’t many Kellogg’s products, it is great to sign up because you can occasionally find free codes and get great deals on rewards. You don’t have anything to lose by signing up so click the image and get started! There are also some kellogg’s products on Ibotta! See these current Ibotta offers for some products that may work. Here are some FREE codes for you to start off with a few points. Please let me know if any are expired as I have already entered them and have no way to check. You should get triple points on these FREE codes, too! Thanks for the info, Enchanted Savings! Happy New Year from all of the Dishing It Up cooks! Since so many people make New Year's resolutions, we are putting together a few recipes that may help you keep them. Three of the top five resolutions usually include: Lose Weight, Improve Your Health, and Spend Less/Save More. One of the best ways to accomplish all three of these goals is to cook at home. I won't personally claim that my recipes are going to help you lose weight or improve your health, but I can typically help you spend less by cooking at home! I try to post recipes that allow for leftovers that lend themselves to a redo as a second recipe, freezer containers to use instead of buying frozen dinners, I'm from the deep south and many of my recipes show it. Other recipes that you will find here are semi-homemade and gluten-free. Make sure to check out the different sites to find your new favorites. Over the last few months, we had a few cooks leave the group and added a few new ones. Now Dishing It Up are: Crunchy Frugalista, Deals From MS Do, Eating with Mimi, My Coupon Lady, and The Spring Mount 6 Pack, We are all very different in the types of things we blog about, so I'm sure that between us, we have something to offer for everyone. 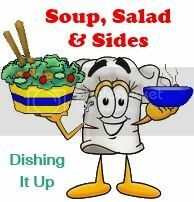 For the month of January 2012, there will be several yummy soups, salads, and other sides to go with them to help keep those resolutions to lose weight, improve your health, and save money. Girls everywhere are coming together to get the facts about their bodies and share that knowledge to create social change. Join them by requesting the free Generation Know* bracelet. 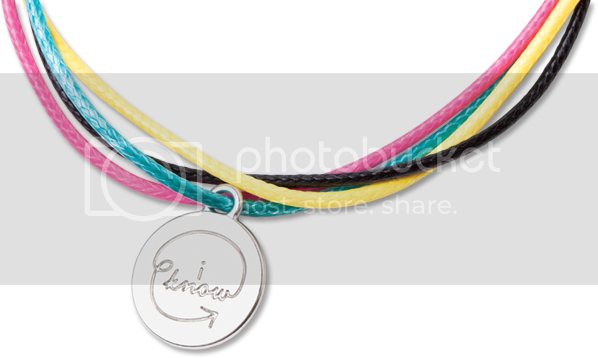 UbyKotex* bracelets are limited so please sign up quickly. Limit two samples per household. Offer limited to the United States and Canada and expires Dec 31, 2013 or while supplies last. Please allow 4-5 weeks for delivery. Must be 13 years of age or older to receive sample. Thanks for the info, STL Mommy!